Minor gold loss on trim no cracks chips or crazing. 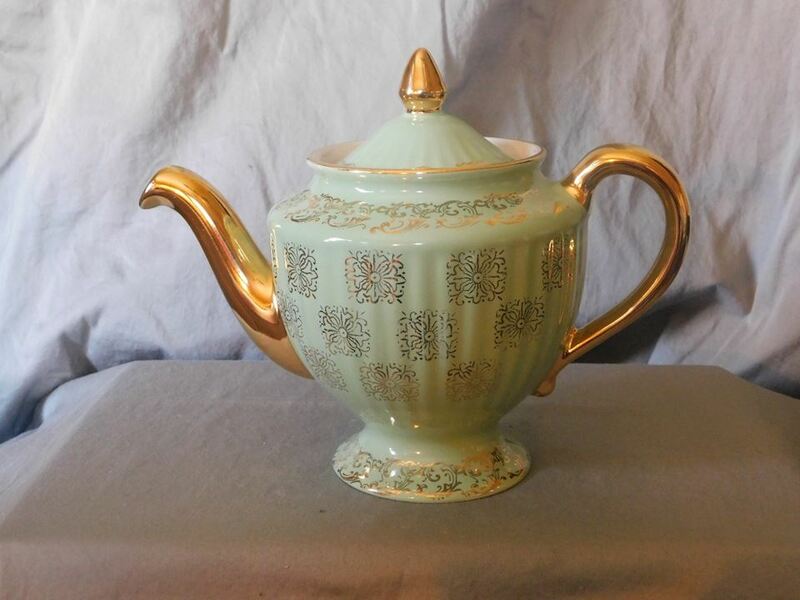 Hall Teal with Gold Floral Design Los Angeles 6 cup teapot. Hall label on bottom of teapot. Made in USA Seven and one half inches tall from bottom to top of lid, ten inches from handle to spout.